1. Abel Danger (AD) claims that the late Ian Cameron used packet-switching technology developed by the late Donald Davies to conceal the White’s Club death-bet bookmaker service which was allegedly launched in its modern form on 23 June 1985 with the bombing of Air India Flight 182. 2. 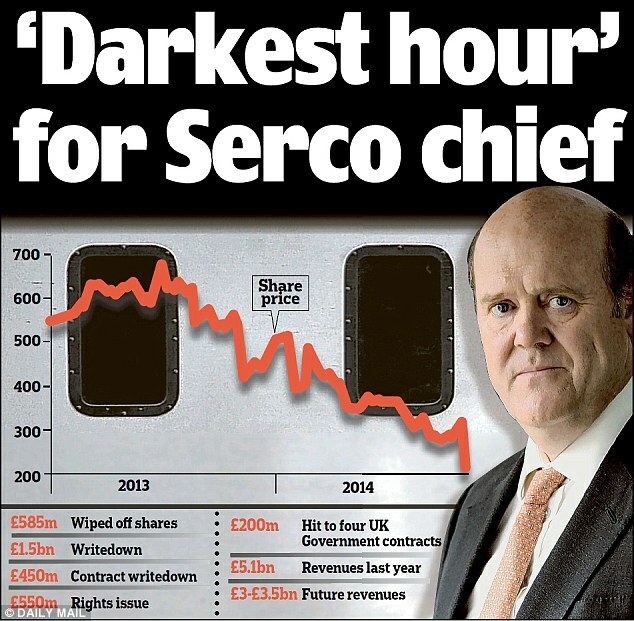 AD claims that White’s associates – David Cameron and Serco CEO Rupert Soames – placed Serco 8(a) packet-switching operatives inside the EU Situation Centre to spot fix the time of detonation of EU bombs and launder the bookmaker’s vigs through UK or other tax havens. 3. AD claims that Cameron’s UK Cabinet Office sent Anna Chapman to New York to set up a honey trap where former US Secretary of State Hillary Clinton has allegedly been blackmailed into handing off EU security operations to White’s bookmakers and the Serco 8(a) bombers. 4. United States Marine Field McConnell https://abeldanger.blogspot.com/2010/01/field-mcconnell-bio.html invites FBI director James Comey to investigate the apparent links between the Clinton honey trap, Serco’s EU 8(a) bombs and the Cameron death-pool bookmaker club (f. 1693). White’s Club bet book dates back to 1743. The internet and other networks are based on a fundamental idea developed by the computer scientist Donald Watts Davies, who has died aged 75. He is not always given full credit for his contribution because Paul Baran, an American working at the Rand Corporation in California, had independently come up with the same idea. However, Baran was focusing on a way to restructure AT&T’s telephone system. Davies was creating a data network, and the design of the Arpanet, the precursor of the internet, was changed completely to adopt his technique. Also, Davies’s term for the idea, which he called “packet switching”, was much catchier than Baran’s “distributed adaptive message block switching”. David Cameron has called for greater transparency in tax havens and a clampdown on aggressive tax avoidance and evasion. But documents leaked from one of the world’s biggest offshore specialists, Mossack Fonseca, reveal that his late father used one of the most secretive tools of the offshore trade after he helped set up a fund for investors. When Ian Cameron wanted to attend a board meeting of Blairmore Holdings, he had to fly to either Switzerland or the Bahamas. Blairmore, which appears to have been named after the Cameron family’s ancestral estate in Aberdeenshire, held its meetings offshore to ensure the investment fund wouldn’t have to pay any UK income tax or corporation tax on its profits. “Air India Flight 182 was an Air India flight operating on the Montreal, Canada–London, UK–Delhi, India route. On 23 June 1985, the Boeing 747-237B serving the flight (c/n 21473/330, registration VT-EFO, “Emperor Kanishka”) was destroyed by a bomb at an altitude of 31,000 feet (9,400 m). It crashed into the Atlantic Ocean while in Irish airspace. It was the first bombing of a 747 jumbo jet. A total of 329 people were killed, including 268 Canadian citizens, 27 Britons and 24 Indians. The majority of the victims were Canadian citizens of Indian ancestry. The incident was the largest mass murder in Canadian history. It was the deadliest terrorist attack involving an aeroplane until the September 11, 2001, attacks. It is also the deadliest aircraft bombing. The bombing of Air India 182 occurred at the same time as the Narita Airport bombing. “Anna Vasil’yevna Chapman (Russian: А́нна Васи́льевна Ча́пман; born Anna Vasil’yevna Kushchyenko Russian: А́нна Васи́льевна Кущенко; 23 February 1982) is a Russian national who was residing in New York City when she was arrested, along with nine others, on 27 June 2010, on suspicion of working for the Illegals Program spy ring under the Russian Federation’s external intelligence agency, the SVR (Sluzhba Vneshney Razvedki). 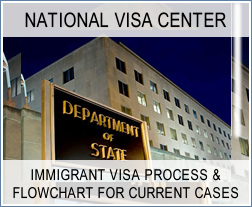 Chapman pleaded guilty to a charge of conspiracy to act as an agent of a foreign government without notifying the U.S. Attorney General, and was deported to Russia on 8 July 2010, as part of a prisoner swap. Chapman was born Anna Vasil’yevna Kushchyenko in Volgograd, according to U.S. authorities, and her father was employed in the Soviet embassy in Nairobi, Kenya. According to Chapman’s British ex-husband Alex Chapman, her father, Vasily Kushchenko, was a senior KGB official. The family’s home is located in south-west Ramenki, a once-elite district for KGB officials, mid-ranking diplomats and army officers. According to Komsomolskaya Pravda, Kushchyenko occupies a senior position at the ministry known by its Russian initials MID (foreign affairs). According to her husband, Anna Chapman Kushchyenko earned a master’s degree in economics with first class honours from Moscow University. According to other sources she got her degree from Peoples’ Friendship University of Russia. Anna Kushchyenko met Alex Chapman at a London Docklands rave party in 2001 and they married shortly thereafter in Moscow;as a result she gained dual Russian–British citizenship, and a British passport. She took up residence at 20 Exchange Place, one block from Wall Street in Manhattan. Her LinkedIn social networking site profile identified her as CEO of Property Finder LLC, a website selling real estate internationally. Alex has stated that Anna told him the enterprise was continually in debt for the first couple of years, and then suddenly in 2009, she had as many as 50 employees and a successful business. A female Russian agent got “close enough” to a sitting U.S. cabinet member that the FBI felt they had to swoop in and arrest the lot — but it wasn’t the famous femme fatale Anna Chapman, federal officials said today. Chapman, the seductive 20-something SoHo spy, was named by a British newspaper Monday as the reason the FBI decided to finally round up the Russian ring, which had long been under surveillance, in 2010. The paper cited an interview conducted by the British broadcasting network the BBC with the FBI’s counter-intelligence head Frank Figliuzzi. “We were becoming very concerned they were getting close enough to a sitting U.S. cabinet member that we thought we could no longer allow this to continue,” Figliuzzi said. But Figliuzzi never named the Russian agent in question, even if the BBC ran images of Chapman — as well as shots of a look-a-like — during the interview, and now the FBI says he wasn’t talking about her at all. Instead, Justice Department officials told ABC News Figliuzzi was referring to another of the arrested spies, Cynthia Murphy. According to court documents relating to the spies’ arrest, Murphy had been in contact with a fundraiser and “personal friend” of Hillary Clinton, who took the office of Secretary of State in January 2009. The fundraiser, Alan Patricof, said in a statement in 2010 he had retained Murphy’s financial services firm more than two years before, had met with her a few times and spoke with her on the phone frequently. Patricof said they “never” spoke about politics, the government or world affairs. The massive hunt for the “man in the hat” linked to the Brussels airport bombings appears to be over. Belgium’s federal prosecutor said that Paris attacks suspect Mohamed Abrini had confessed to being at the scene of the blasts in Brussels on March 22. Speculation had been mounting since Abrini’s arrest on Friday that he was the suspect pictured in surveillance video from the airport alongside two suicide bombers. That video showed a man in a light-colored jacket and dark hat pushing a luggage cart loaded with a black bag at the airport. Two other men pictured with the man in the hat — Najim Laachraoui and Ibrahim El Bakraoui — blew themselves up in the attack, leaving Belgian authorities searching for the third suspect. Police released more footage showing the so-called “man in white” or “man in the hat” on Thursday in an appeal for information as to his whereabouts, noting the suspect had ditched the light-colored jacket. “He explained having thrown away his vest in a garbage bin and having sold his hat afterwards,” the prosecutor added in an emailed statement. The prosecutor’s office earlier had confirmed Abrini has been charged with “terrorist murders” and participating in a terror group in relation to the Paris terror attacks last November. However, it was not immediately clear if Abrini’s alleged confession meant he would face further charges. Abrini had been filmed on security footage at a gas station with Salah Abdeslam, one of the alleged Paris attackers, just two days before the terror spree in the French capital, which left 130 dead. His apparent confession to being in the Brussels Airport adds another link to the attacks in Belgium and the Paris massacres. In addition to the Abrini revelations, Belgium’s prosecutor announced that three other men had been charged with terror offenses. One of them — identified as Osama K — was allegedly present at the time of the bombing on the Brussels subway, according to the prosecutor. Two others are suspected of assisting Abrini and Osama K.
Provides computer security integration for web server and traditional client-server based applications. We secure environments up to as many layers as required by our clients’ policies, industry practices, and regulating bodies – including the desktop and user experience as required. “In July 1994, Cameron left his role as Special Adviser to work as the Director of Corporate Affairs at Carlton Communications. Carlton, which had won the ITV franchise for London weekdays in 1991, was a growing media company which also had film-distribution and video-producing arms. 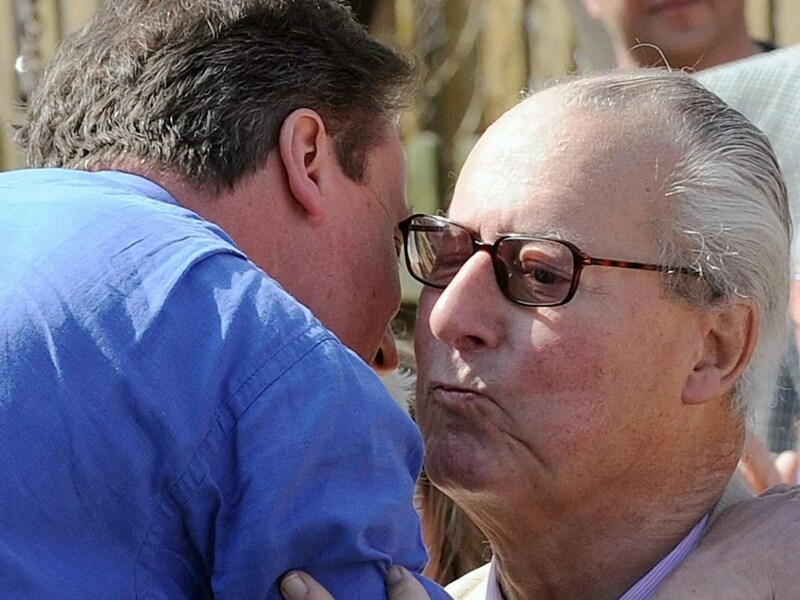 Cameron was suggested for the role to Carlton executive chairman Michael Greenby his later mother-in-law Lady Astor. Cameron left Carlton to run for Parliament in 1997, returning to his job after his defeat. As the BBC is embroiled in yet another row over sexism after presenter John Inverdale’s poorly judged on air-comments, and MPs scramble in Westminster to condemn male-only establishments – just down the road, at White’s in St James’s, it is very much business as usual. The exclusive membership only establishment – the ‘original ‘old boy’s club’ – is the grandest, oldest and most notoriously difficult to gain entrance to. Once, every Prime Minister from Robert Walpole in the early 18th century to Robert Peel in the mid-19th was a member, and the club boasts a bar which ‘has not shut for 200 years’. But White’s – to which only one woman, the Queen, has ever been allowed entrance – was quietly disowned by David Cameron in 2008, despite his father Ian once being chairman. The Prime Minister is said to be the only member to have left of his own free will. Here, HARRY MOUNT takes a look at the history of Britain’s most notorious male only club – where rakes, rogues and royals have drunk side by side. The Culture Secretary Maria Miller would, it’s safe to say, disapprove of White’s, the grandest, oldest, raciest gentlemen’s club in London. But, then again, she’s unlikely to be invited to visit. The only woman who’s ever been entertained there is Her Majesty the Queen. All-male clubs have been the subject of Mrs Miller’s ire this week as she attacked the men-only policy of Muirfield, which is hosting golf’s Open Championship. Yesterday, the Prime Minister gave her his full support. A spokesman for David Cameron condemned such all-male clubs as looking ‘more to the past than they do to the future’. But Mr Cameron was not always so high-minded. Until fairly recently he was a member of the notorious White’s club, just up the road from St James’s Palace. Indeed his late father, Ian, was its chairman. But the future Prime Minister tactically resigned when Leader of the Opposition because the all-male club didn’t fit with his vision of modern Conservatism. It is said that he is the only member to have left of his own free will – and not by death or shameful forced resignation. The club was founded in 1693 as a hot-chocolate house by an Italian, Francesco Bianco, whose name translated into Francis White – and thus White’s. It soon graduated to more intoxicating practices, notably heavy drinking and gambling. For centuries, it has taken pride in its reputation as the hardest of the London gentleman’s clubs to get into. The Victorian Prime Minister, Benjamin Disraeli, said there were only two things that an Englishman cannot command – being made a Knight of the Garter or a member of White’s. There is a long waiting list to join and many applicants are still blackballed – rejected – by existing members. New members must be vouched for by 35 signatories and membership is more than £850 a year. The late journalist Auberon Waugh – whose father Evelyn was a devoted White’s member – was blackballed in 1995 by anonymous enemies at the club. In the Spectator, Waugh retaliated, writing of the ‘insecure, big-bottomed men who think that membership of White’s gives them some sort of social cachet … White’s has always had its fair share of s***s and twerps and pompous bores’. Since then, the ‘White’s Club S**t’ has entered club slang to mean the worst sort of nasty, selfish, pompous show-off. Still, in its 300-year history, the club has played host to some illustrious members and a glittering array of politicians. Among its old members are the Duke of Wellington, the Regency dandy Beau Brummell, George IV, William IV, Edward VII and Winston Churchill’s son, Randolph. Prince Charles is a member and held his Bollinger champagne-fuelled stag night at the club before his wedding to Lady Diana Spencer. Prince William is said to be a member. The club has also attracted its fair share of rogues. White’s was implicated in the great ‘Cambridge Spies’ scandal. Some have claimed that the recruitment and subsequent movements of Guy Burgess, Donald Duart Maclean, Kim Philby and Anthony Blunt were orchestrated from the club’s bar. “The HAC is the Army’s only Reserve Surveillance and Target Acquisition (STA) Regiment. We are based in the City of London and recruit Officers and Soldiers from across the South East. The Honourable Artillery Company (HAC) Operations The HAC exists to support the Regular Army on operations. The Reserves have played a critical role in delivering international security through operations in the Middle East and elsewhere. With ongoing changes to the way the Regular Army is structured, this role will only get bigger. We work closely with 5th Regiment Royal Artillery and many other Army units. Breaking: Mike Pence Exposed in Indiana Pedogate. ( 5,124 )Timothy Holmseth has filed with Minnesota Court.